As Consultant Accounting & Compliance you work on different assignments for different (inter) national clients. Our clients live in a world in which they are confronted with increasingly complex laws and regulations, governments that demand complete transparency and stakeholders who become more actively involved in the strategic tax choices of a company. Mainly because of these developments, the importance of compliance has never been so great. Your role as a Consultant is to help our clients at (inter) national level to comply with their fiscal compliance. Are you an ambitious and driven starter and do you want a position in a stimulating environment with plenty of development opportunities? Then we will gladly lead you to a versatile Compliance advisor. This position is available at our offices in Amsterdam, Rotterdam and Utrecht. As Consultant Accounting & Compliance you work on different assignments for different (inter) national clients. You keep yourself occupied (in a project-based manner) with the compilation of annual accounts, preparing financial reports and setting up financial administrations, mapping and advising on business processes, performing audit support activities, preparing different tax returns, working with ERP systems and finally we try to apply technological innovations to improve work processes. It is responsible work, because you like to help the clients with compliance reporting. You are the point of contact for your client, you often visits clients and give advice. You are also a sparring partner between the customer and colleagues from other disciplines. As a consultant, you work intensively with various colleagues within the team. At the Tax, Reporting & Strategy department, colleagues with a background in Business Economics, Accountancy, Fiscal Economics and Tax Law work together on Compliance-related assignments. Because you also work closely with colleagues from the Assurance, Tax and Advisory practice, you also get extensive knowledge of other fields. You are innovative, entrepreneurial and are not afraid from challenging the status quo. 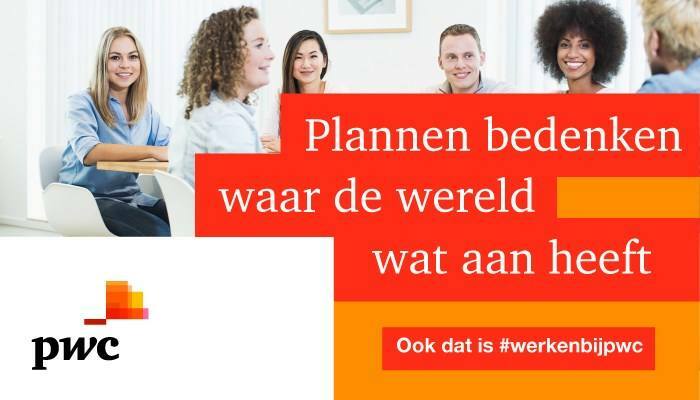 Please send your application for Consultant Accounting en Compliance at PwC in Amsterdam, Rotterdam or Utrecht including your CV via our website.